Three person tents will also work well if you are camping with just one other person but you want some extra space. Tents categorized as 3 person mean that they can fit 3 people with no extra space. That will work for you if that is what you want. However, if you and one other person are going camping and you want extra space for gear, you should look into buying a 3 person tent. It will make the trip more comfortable and you will have more room to move around inside the tent. In this article, we will talk about the different types of 3 person tents, features to look for, and the best three person tents currently on the market. Keep in mind that these picks are the best 3 person backpacking tents as well. 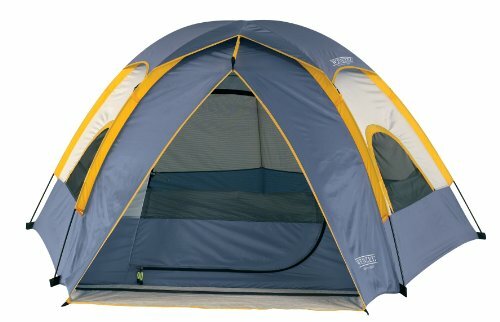 The number one best 3 person tent is the Sundome tent. This dome tent features 8.5mm fiberglass poles and a polyester rainfly. The fiberglass poles are shock-corded for increased strength. 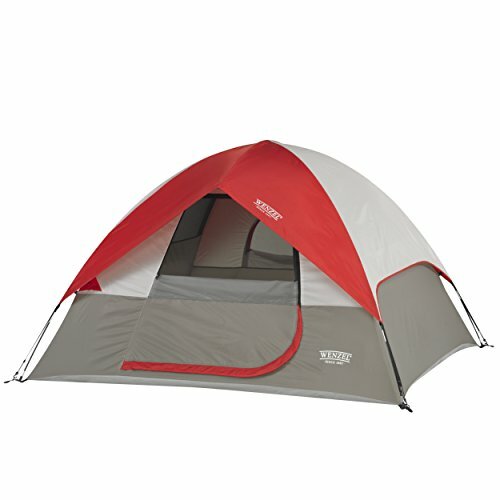 This tent offers a center height of 52 inches. When you want to use small electronic appliances in the tent, there is an electric accessibility port for easy hookup. The mesh vent in the inner tent allows for increased ventilation. For increased water protection, the rugged 1000D polyethylene bathtub style floor has inverted seams. You are guaranteed a dry tent even in heavy rains. The dome style makes it easy to set up. The manufacturer recommends using air mattresses in this tent for the most comfortable sleeping arrangement. This tent has one door which makes it lighter than other two door tents. 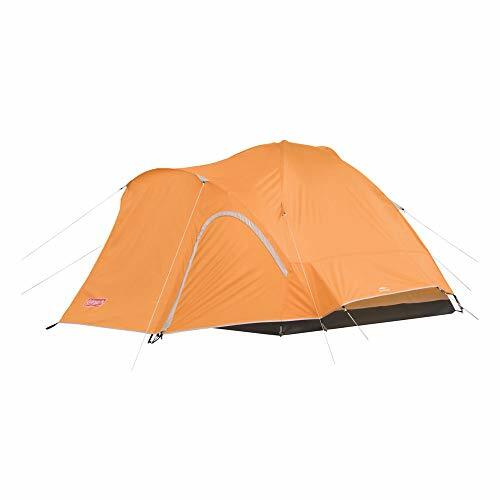 With a dome design, this Coleman Hooligan tent will take no more than 10 minutes to set up. The full mesh inner tent and large windows provide maximum ventilation to keep you cool and comfortable. You can use the storage pockets to stash your small items, keeping the tent more organized. The mesh inner tent is protected by a full-coverage rainfly to protect you from rain, wind, and sun. The welded floors are patented by WeatherTec™ and have inverted seams to make sure the water stays out. The poles have an Insta-Clip™ design, making the tent wind-resistant. Snag-free, continuous pole sleeves allow for easy setup. Offering 49 square feet in interior space, you are sure to stay comfortable inside the Wenzel Alpine tent. The 3-pole pentadome design allows for one of the poles to create a vestibule space where you can store your gear out of the rain. The shock-corded fiberglass frame is easy to assemble and disassemble. Featuring a gear loft and hanging gear pocket, it is easy to keep your things organized. The integrated mud mat has a drainage drip to help keep the tent clean. The D-style door and two windows provide excellent ventilation. The bathtub style floor is made of sonic sealed polyethylene and the walls are a Weather Armor polyester with a polyurethane coating to provide protection from water. All the seams are double stitched to further ensure water does not leak inside the tent. The walls of this tent are made of polyester coated with polyurethane to provide weather-resistance. For ventilation, this tent features a Dutch D-style door, two windows, and roof vents. The windows have Storm Flaps so that you can close them when you need to. The sealed seams in rainfly and welded polyethylene floor will keep you dry during rain. The properties of the rainfly make it UV-resistant and it will not sag or stretch when wet. The gear loft and interior storage pocket allow you to keep your things organized. The E-port makes it easy for your to hook up your electric appliances. Featuring a clip and sleeve construction, this Wenzel Ridgeline tent with a shock-corded fiberglass frame is easy to set up. 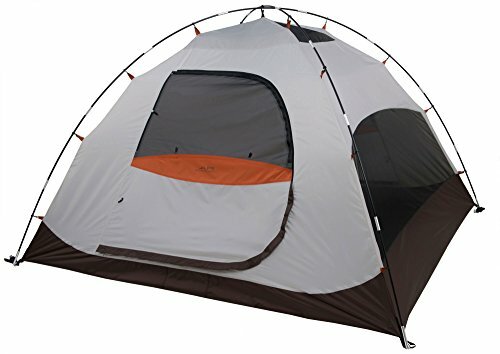 The 2 door design on this tent will make it easy for you and your camping buddies to enter and exit the tent without disturbing each other. Both doors have zippered windows and there are also large mesh side panels for ventilation. The windows have Storm Flaps when you want to close them. They are also hooded by the fly, so you can keep them open when it is raining without getting wet. The tent walls and floor are made of polyester taffeta. The rainfly is made of polyester and is resistant to UV damage. When it rains, the fly will stay taut and not sag. The seams in the floor and fly are factory sealed to prevent water leakage. The zippers on the doors and vestibule are durable extra large #8 zippers so they are easy to grip. 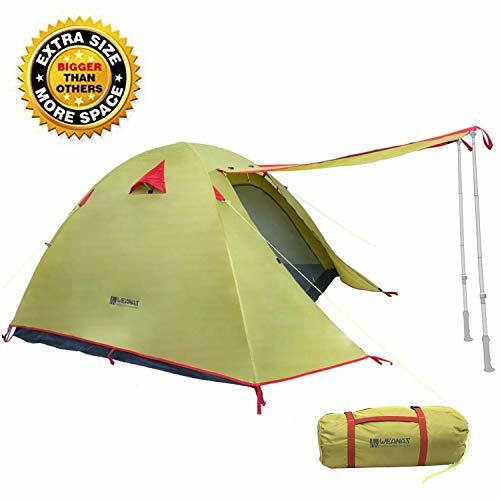 The shock-corded fiberglass frame connects to the tent using clips, making setup a breeze. Keep your things organized using the large mesh storage pockets. As the lightest 3 person tent on our list, this tent will surely not be a burden to carry. 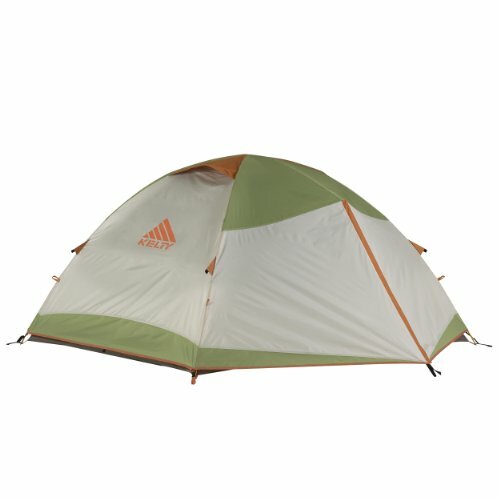 This makes it one of the best 3 person backpacking tents. With a waterproof index of over 4000mm, you are sure to stay comfortable in dry during rain. The lightweight steel stakes that come with this tent provide stability and strength. The nylon floors have taped seams to ensure water won’t seep through. This tent is lightweight so it will be easy to take along for your camping trip. The 2 doors allow a cross breeze to pass through the tent, providing excellent ventilation. The aluminum alloy frame has a folding design which saves space and makes the tent more portable. It comes with 8 steel pegs and 4 ropes to fix it sturdily. The 2 vestibules will help you to keep your things organized and off the floor. The freestanding design makes it easy to move around once set up. The convenience of two doors makes it easy to enter and exit the tent without climbing over your partners. This is a great option for those who are looking for a budget-friendly tent. This dome tent has a 2 two pole design with clips for a speedy setup process. The rainfly has a 600mm coating and taped seams to keep you dry. There are a few key things to keep in mind when looking for a good quality tent. Cost- Since you probably want to buy a 3 person tent for backpacking, you don’t want to have to spend a ton of money. Think about how often you will actually use the tent. 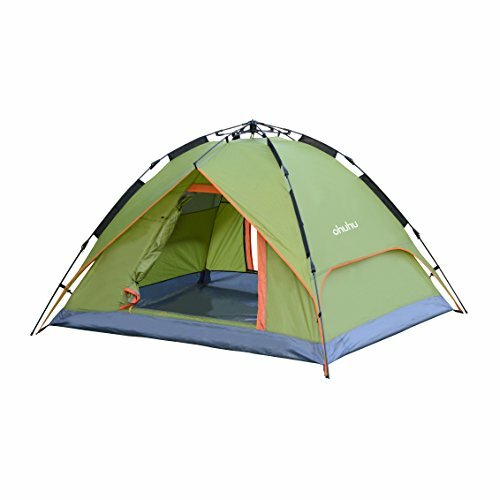 If you will use it a lot, it might be better to go for a good quality, higher price tent so that it will last longer. Weight- Sometimes we don’t pay much attention to weight because a tent may sound light based on the description. But even a few ounces can make a big difference if you will be carrying the tent for extended periods of time. Look for a lightweight tent that won't be a burden to carry. Tents in general come in different types and styles. Below are some of these. Aluminum poles are pretty lightweight but sturdy at the same time. They do not bend or break easily. If under a lot of force they may bend, but are unlikely to break. If an aluminum pole bends, it can be repaired. 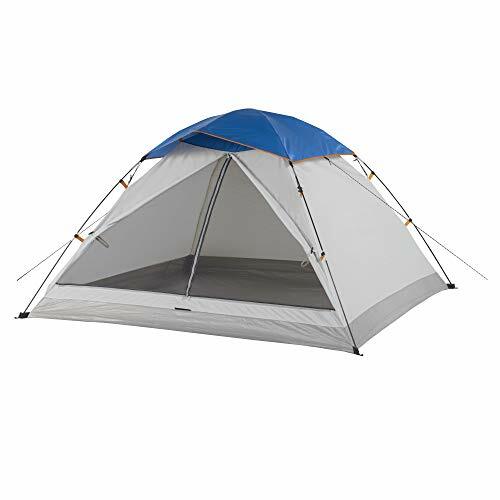 Aluminum poles are found in some small, good-quality tents. They will hold up well even in windy conditions. One downside of aluminum poles is that they are subject to corrosion. Because of this, many aluminum poles come with a protective coating to prevent corrosion. Over time, however, this coating can wear off. There are different grades of aluminum used for tents, and this will be reflected in the price. Aluminum poles will hold up well in the summer and in the winter. Another advantage is that they give the tent a more attractive appearance. Fiberglass poles are very popular in camping tents. The biggest advantage is that they are cheaper than aluminum poles and do not corrode. Fiberglass poles are flexible, and will bend when it is windy instead of standing firm. There are a few drawbacks to fiberglass poles. They are not as strong as aluminum poles so they will have to be thicker to support the weight of the fabric. Very cold weather weakens fiberglass poles and they can break. When a fiberglass pole breaks, sharp shards will be exposed. This then makes it easy for the broken poles to rip the tent. Splinters of fiberglass can pose a risk to children as well as adults. Despite the drawbacks, fiberglass poles still remain a popular choice because they are inexpensive. Many tents now use shock-corded fiberglass which makes them stronger. Tents are described as having different seasons, and you should understand what they mean to pick the best one for you. The most common tents are either 3 season or 4 season tents. Three season tents are the most popular camping and backpack tent style. They are built to be used in the spring, summer, and fall. They provide adequate protection from rain and wind while at the same time provide good ventilation. However, they are not good to use in heavy snow and other harsher weather conditions. This is where 4 season tents come in. They are very durable and will hold up in harsh weather conditions. Four season tents are made of heavy materials to withstand heavy rain, snow, and strong winds. They are ideal to use in the wintertime since they will keep you warm inside. Four season tents are not good to use in the summer. Because of their design, the inside will get uncomfortably hot in the summer. Protection- Make sure the tent will provide protection from the elements. The stakes and poles need to be sturdy and strong to withstand windy conditions. The tent needs to also prevent water from leaking inside. Look for a tent with a bathtub style floor, sealed seams, and a durable rainfly. Ventilation- To be comfortable inside the tent, it must provide adequate ventilation. Mesh panels and windows are good features to look for. Vents in the rainfly will provide ventilation even when it is covering the tent. Tents with two doors have a big advantage since they allow a cross breeze to flow through the tent, keeping you cool and comfortable. Easy to set up- No camper or backpacker wants to spend a lot of time setting up their tent. Look for a tent that has a free standing design. They are easier to set up and allow you to quickly move the tent if you need to once it is set up. Pay attention to the design style to decide what will work best for you. There are several things to consider before purchasing a three person tent. It is definitely worth it to do sufficient research so that you can pick a good tent. A bad quality tent can not only be a waste of money but also dangerous. If you will use it to go backpacking, you might end up in isolated places. If your tent fails to properly protect you from the elements, it can be a danger to you. Of course, if you keep the key features in mind that we have discussed, you will no doubt have an enjoyable camping or backpacking trip.